A pediatrician is a doctor who has undergone special additional training to work with infants, children and adolescents. Pediatricians have the knowledge and experience about the physical, emotional and social development of children to give your child care that’s just right for his or her age and stage of life. Pediatricians understand the importance of listening carefully to you and your child. They can help you with questions about your child’s development, pediatric health and parenting, and will guide you in anticipating your child’s needs. The best time to find a pediatrician for your baby is before he or she is born. Because your baby will need to see a doctor frequently within the first weeks of life, it’s very helpful to choose the right pediatrician well in advance. Choosing a pediatrician prior to your baby’s birth ensures that you will know your pediatrician, understand his philosophies about health care, and feel comfortable with the nurses and office staff. You'll also easily be able to find your way to your pediatrician’s office. Planning ahead now will help you feel calm and confident about your newborn’s care when the time comes to visit your pediatrician. It’s a good idea to make sure the pediatrician you would like to meet is board-certified. Board-certified pediatricians have completed not only medical school and residency programs (on-the-job training) in pediatrics, but they've also passed a rigorous exam given by the American Board of Pediatrics. 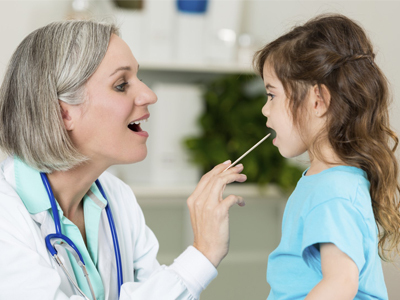 To remain board-certified, pediatricians must continue their education through classes and workshops, demonstrate quality patient care and maintain a valid medical license to demonstrate they are up-to-date on the most current medical practices, knowledge and skills for health care for children of all ages. Determine what is important to you from a practical perspective. For example, does the pediatrician’s office need to be convenient to your home, workplace, day care or other locations? Before scheduling to meet a pediatrician, check with his or her office staff to ensure the office accepts your current insurance. If you do not carry insurance or the office doesn’t accept your plan, ask about what expenses you should expect. You may also want to confirm your co-payment, laboratory and other possible expenses with your insurance company. Each Texas Children’s Pediatrics practice has a list of insurance plans it accepts, so it’s easy to see if a given practice takes your insurance. At your first consultation, it’s important to determine whether you feel confident having this doctor take care of your baby. You may find it helpful to talk with the pediatrician about practical and philosophical concerns you may have about your baby’s care. Remember, you have a choice in selecting your child’s pediatrician, and you may find it helpful to visit more than one office or physician. Below are considerations, topics and questions you may want to discuss. How do the office staff and nurses treat you? The pediatrician and staff should follow the “no-question-is-stupid” philosophy. These are the people you will turn to for assistance the first time your baby develops a rash, gets a fever or takes a tumble, and you want to be confident that your questions and concerns will be addressed by professionals with whom you can develop a caring relationship. Who will see your baby for his or her first checkup in the hospital? What is the typical schedule of visits? Ask the pediatrician to explain his or her philosophy of care. Discuss how many visits to expect the first year (approximately 8) and what you should do if additional, unexpected care becomes necessary. Ask about safety measures your pediatrician advocates, such as the type of car seat he or she the doctor recommends. Find out the pediatrician’s opinion on breastfeeding and bottle-feeding. Ask the pediatrician his or her thoughts about circumcision. Ask your pediatrician what should be expected at each stage of a child’s development. After learning more about a pediatrician’s practice and philosophies, you will be more comfortable in making a decision about who you would like to partner with in the care and health of your child. When sharing your concerns, you want to rest assured knowing that your pediatrician understands and supports the decisions you make throughout your child’s development.